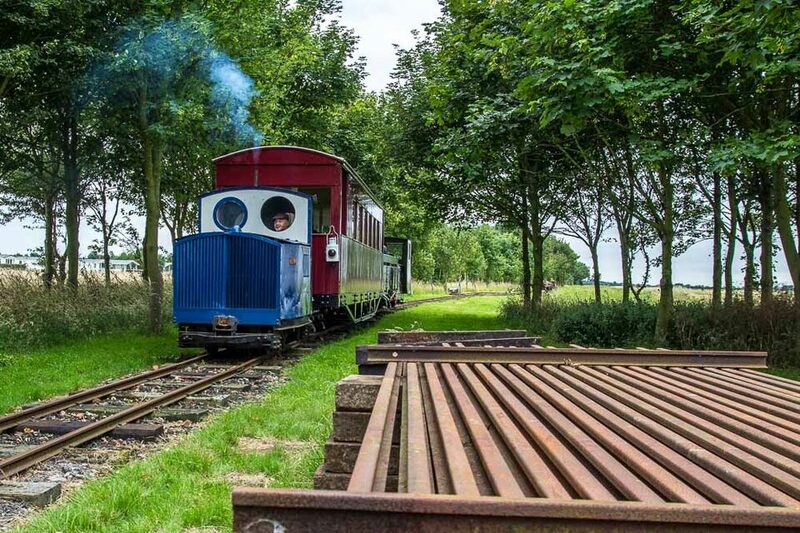 LCLRHVT stock positioned in the yard at Skegness for visitors to view. 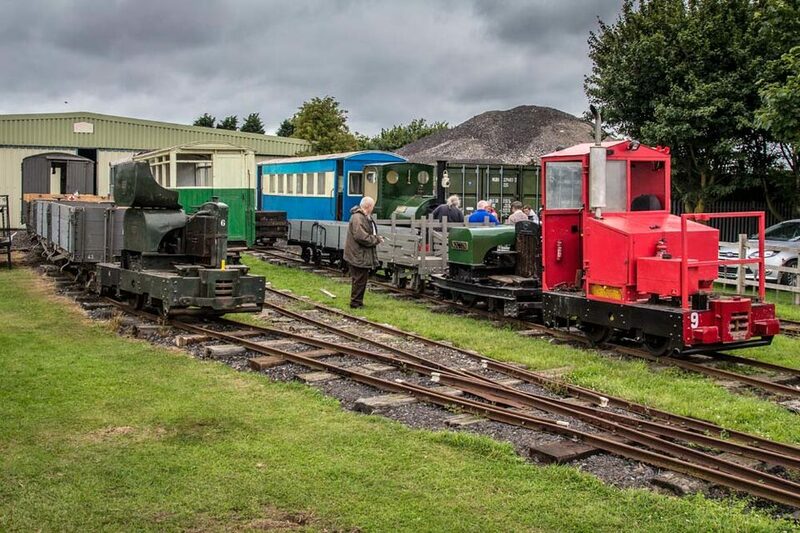 The passenger trains operated with a variety of locomotives. 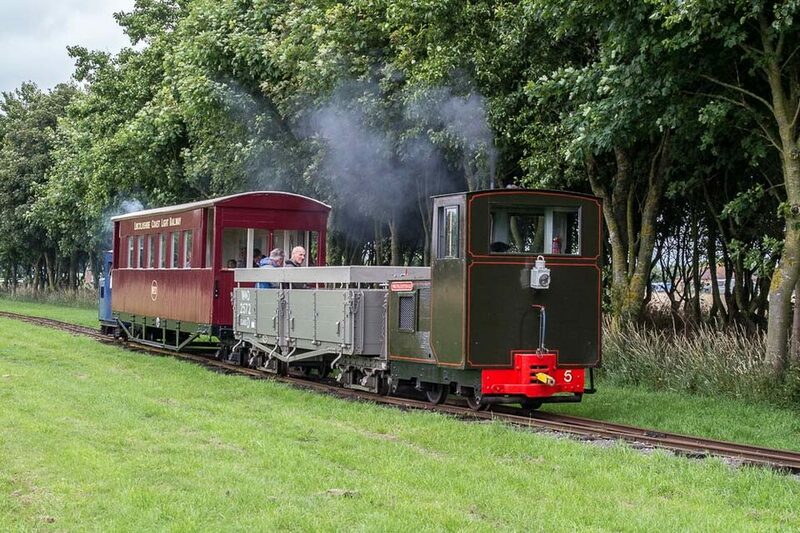 Seen here at Drainside, "Major JA Robins RE" with accessible carriage 2572, Ashover No.2 coach and Simplex "Paul" on rear. Scene at South loop where driver of "Paul" returns to loco with single line staff. 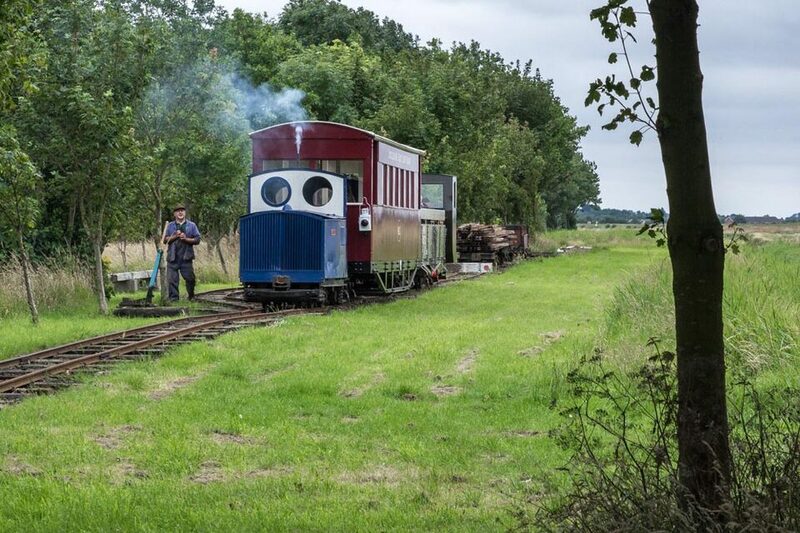 "Paul" departs the loop and passes the newly acquired rail for the railways extension beyond South Loop. A later train pauses at South Loop. 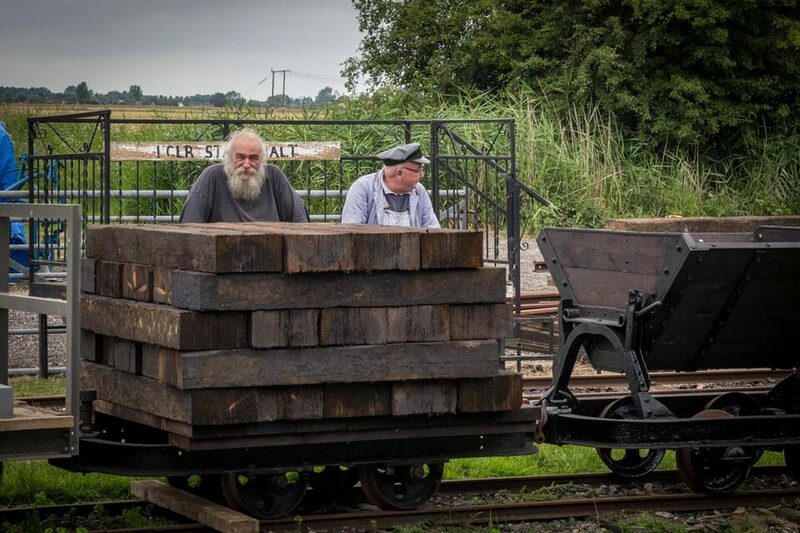 Pump trolley, ex Admiralty Jetty in Killingholme, in action in the yard. It was reported that wheelspin was observed! 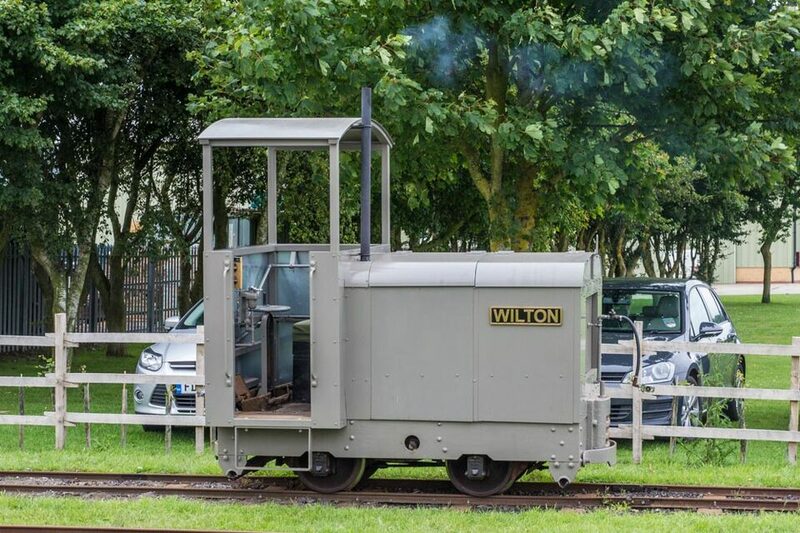 Simplex "Wilton" stands in road no1 between duties on passenger train. 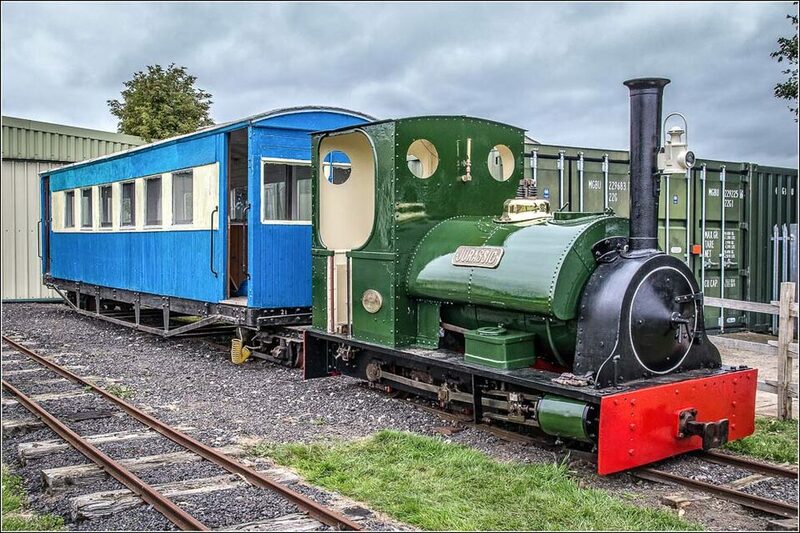 Star of the show "Jurassic" stands in road no1 with Ashover no1 still in its old Humberston blue & cream livery. 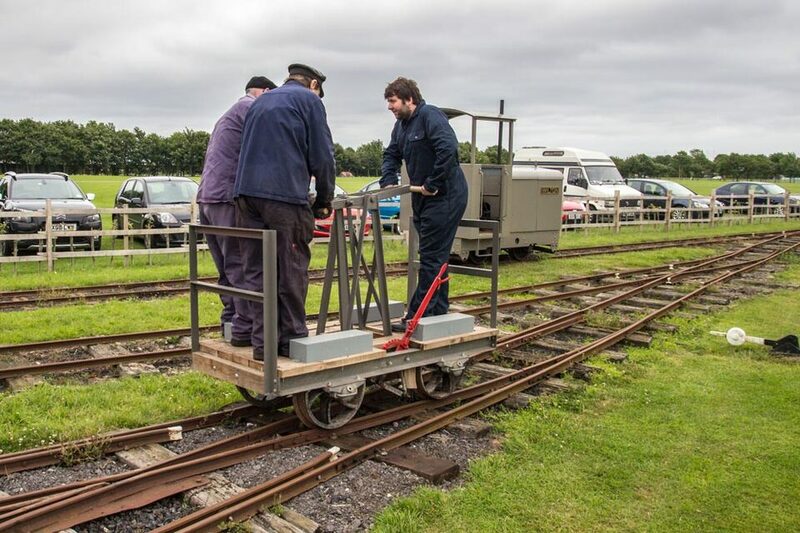 Work on the locomotive is progressing well but it still requires some work on its braking system and steam pipework. 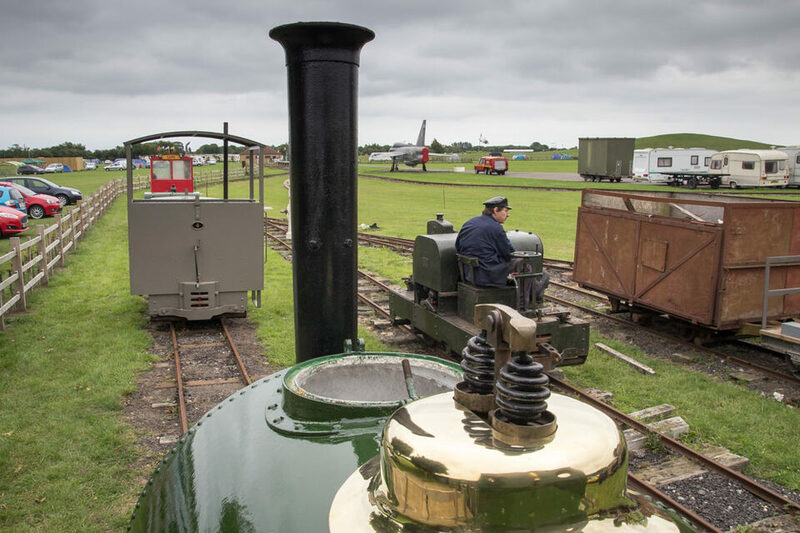 View of the yard from footplate of "Jurassic". 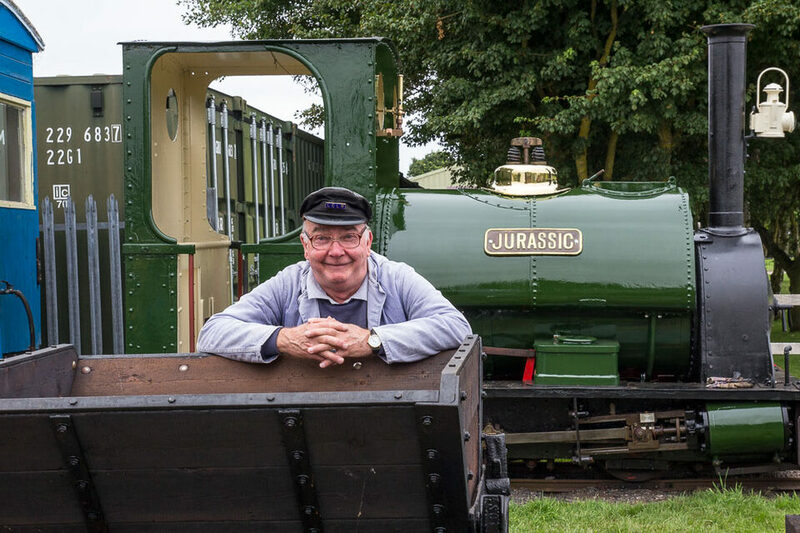 Our longest serving working volunteer, from August 1960, takes a short break from driving. 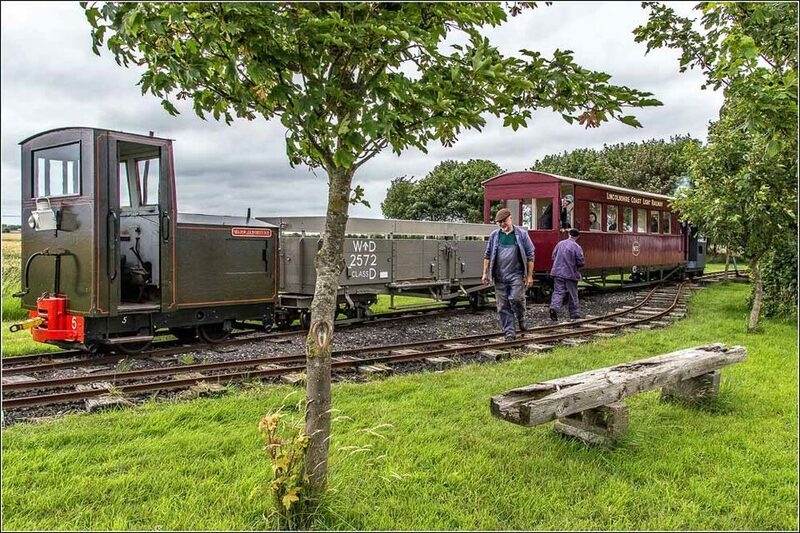 Watching the action in the yard, from LCLR Staff Halt. 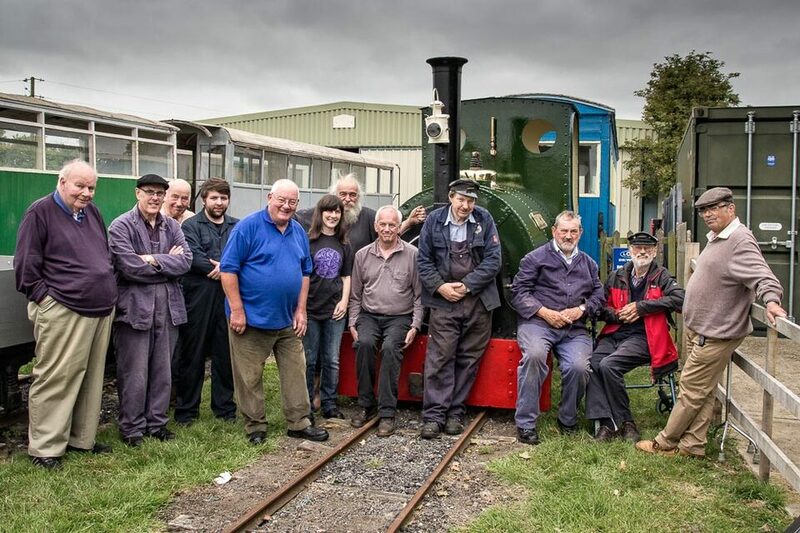 A really historic group photograph showing 3 retired drivers who had worked at LCLR Humberston in the early 1960s, plus 5 other current LCLR drivers who had worked at Humberston and now work at LCLR Skegness, along with more recent LCLR staff.